Snufflegrin Books is based in Cornwall and is a joint venture by Peter Delaunay and Susannah Lewis, specialising in creating beautifully illustrated and produced works of fiction and non-fiction for all readers. Illustrated books have become the preserve of children’s literature; but Snufflegrin Books aims to return these qualities to both fiction and non-fiction and to recall the original publication of works by Charles Dickens and Lewis Carroll. 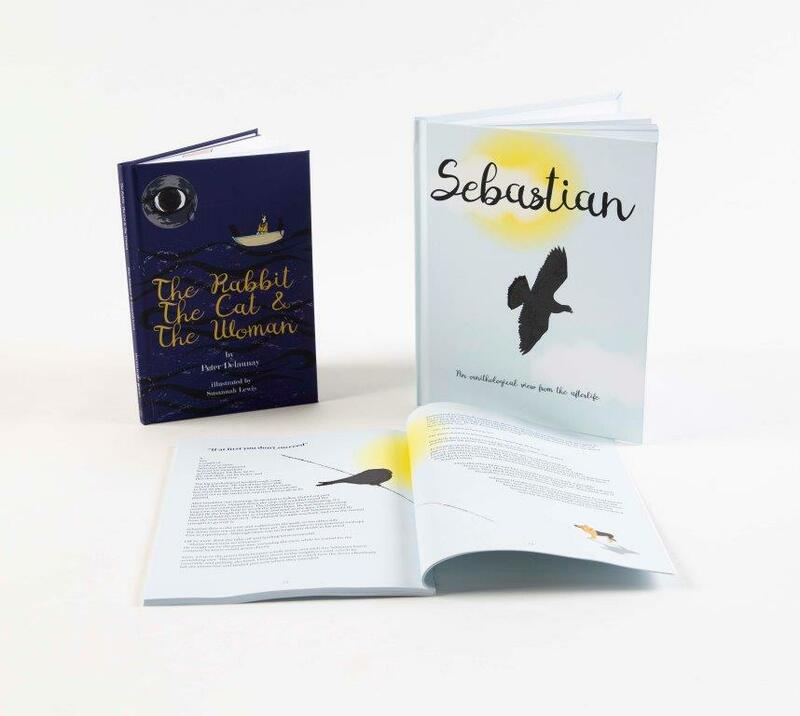 Its first two books are Sebastian by Ross Addison, available in both hard & soft covers; and a re-publication in hardback of The Rabbit, The Cat & The Woman by Peter Delaunay; both books are illustrated and designed by Susannah. Currently Snufflegrin publishes exclusively through Blurb.com & Blurb.co.uk, where you can visit its bookstore. Peter has written for film, theatre & television. He taught Media & Film at Truro College, where he met Susannah and asked her to collaborate on his story The Rabbit, The Cat & The Woman. He lives in Truro. Susannah still teaches on media degree courses at Truro & Penwith College. When she is not teaching, drawing, designing or filming, she is cycling, walking or watching the sea with her family in Portreath. For more details on Snufflegrin books, click here.